Our cheapest firewood at £66.66 /m3! 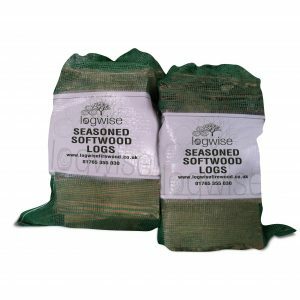 Our softwood logs are made from larch timber. Larch has the highest calorific value of any softwood . For this reason larch firewood is gaining in popularity as an alternative fuel source to hardwood species. Softwood logs are less dense than hardwood and so it burns easier and quicker however, this means more wood is needed for the same heat output. Because it grows faster than hardwood it takes less time for a softwood plantation to mature which means it is the cheapest firewood we sell. 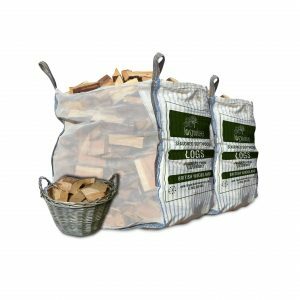 We use specifically made 1.2 cubic metre bags with distinctive mosquito netting and vented sides to store and deliver our softwood logs. This is the most efficient method of seasoning firewood whilst keeping the logs clean. 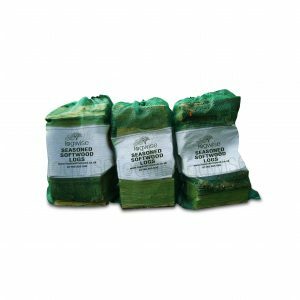 We also sell softwood log nets, these are packed into nets by hand once the firewood is seasoned using specialist net packing equipment and machinery. 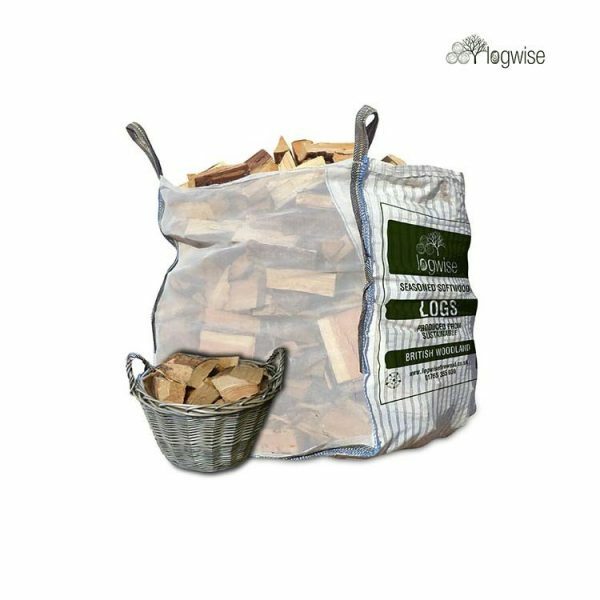 Our standard size of log is 23 cm (9”) long and 5 cm – 15 cm wide [+/-5%], however, we also sell softwood logs in 30cm to 40 cm lengths for larger stoves, fires and biomass boilers. We believe in well-managed woodland management and an ethical firewood industry. This is why we do no import any of our timber, in fact we go to extra lengths to ensure our timber is sourced as locally as possible. Through the Logwise Quality Assured system, detailed information, including the species and woodland the timber has come from as well as processing and packing timeline is provided with every order.